The Led Farmers are a four piece band based in Switzerland, but all of their members are Irish expats. Their debut album “Lucy” was launched at the end of January in Dublin. Around 50% of the numbers on “Lucy” are standards or traditional tunes and the other 50% are self-penned songs. 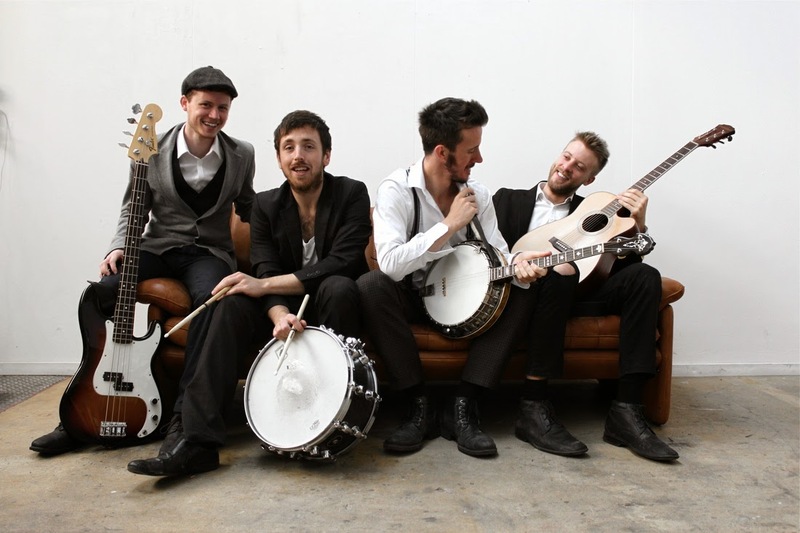 The Led Farmers follow different approaches of the Irish music and their instrumentation is mainly based on a rhythm section, guitar, banjo and bouzouki. Accordion, tin whistle and uillean pipes are played on three tracks too. As I have mentioned, there are different approaches. Fans will be familiar with “Drinking with the Lads”, since a video for this single was out some weeks ago. “Drinking with the Lads” is a brilliant number in The Logues vein and fellow Roman Haller guests on tin whistle. Secondly, there are a couple of numbers which can be filed together with Kíla: “Druma Beag”, written by Ross O’Farrell (vocals, guitar, bouzouki, accordion), and “Druma Mór", written by Brendan Walsh, have that tribal twist. Finally, “Cheannaigh mé mo Chroí” is a longer number with a Moving Hearts sound on which Roman Haller guests on uillean pipes. Apart from those numbers, there are several ballads. “Paddy on the Railway” gets a barn dance treatment and The Led Farmers renditions of “High Germany” and “The Blacksmith” are worth hearing too. IMHO, “Dirty Old Town” and “As I Roved Out” are not so strong. The former is a little bit slow for me and the latter is a little bit quiet. In Planxty’s terms, “As I Roved Out” is the Christy Moore’s song, not the Andy Irvine’s one. Christy recorded this song on his “Voyage” album as “The Night Visit” and that’s my fave version. So maybe I’m not being fair. 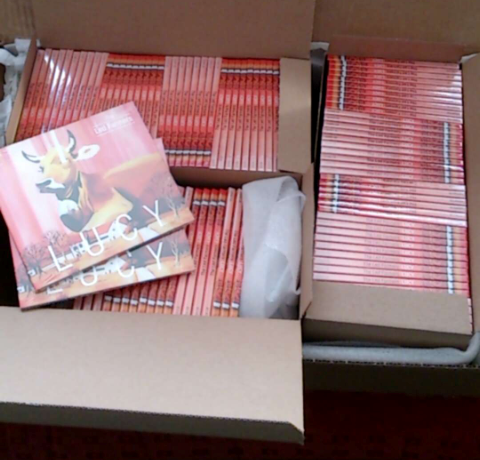 The album packaging is a 4 panel digipack. There is a band pic (see below), the band’s line-up, credits and thankyous. The songwriters/copyrights are stated at the back cover. No lyrics are provided. Therefore, one top-notch Irish drinking song, six fantastic instrumentals and three interesting ballads make “Lucy” a recommendable album. 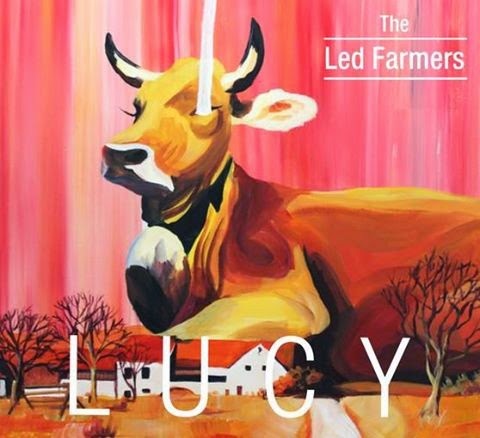 Ah, for a limited time only, when you buy "Lucy" online from the band’s store, they will send you a personalised message. Track 3: "Dirty Old Town" (MacColl). Published by Robbins Music Corp. Ltd. Used by permission. All rights reserved.